The MMG-AR "Featureless Grip" has been selling in California for over 10 years! 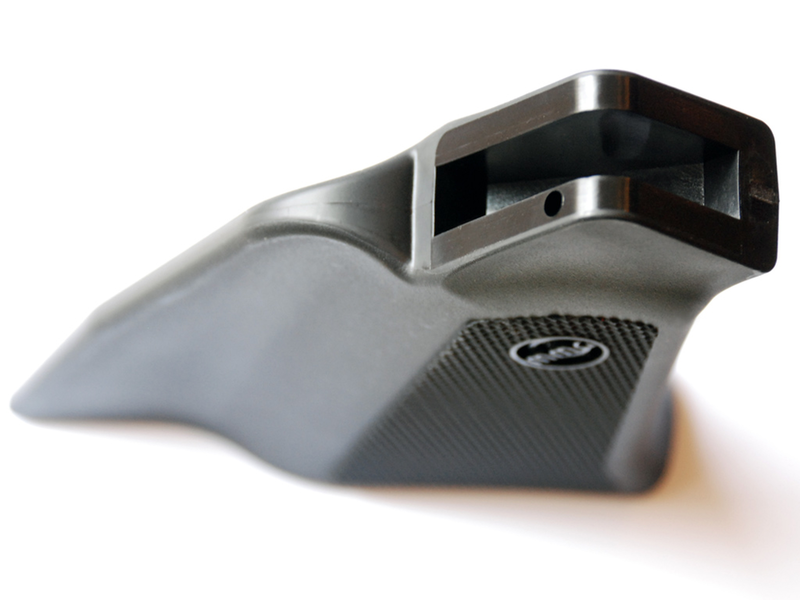 It is the go to grip for turning your AR-15 rifle into a "Featureless" California Legal AR. With CA DOJ testimony that the MMG is not a "Pistol Grip" in the eyes of the law, people feel comfortable using the MMG-AR to keep their rifles legal. The made in the U.S.A. MMG was created by a Californian who wanted an AR style rifle that did not have a "Mag Lock" on it, keeping the rifles ability to have a detachable magazine. 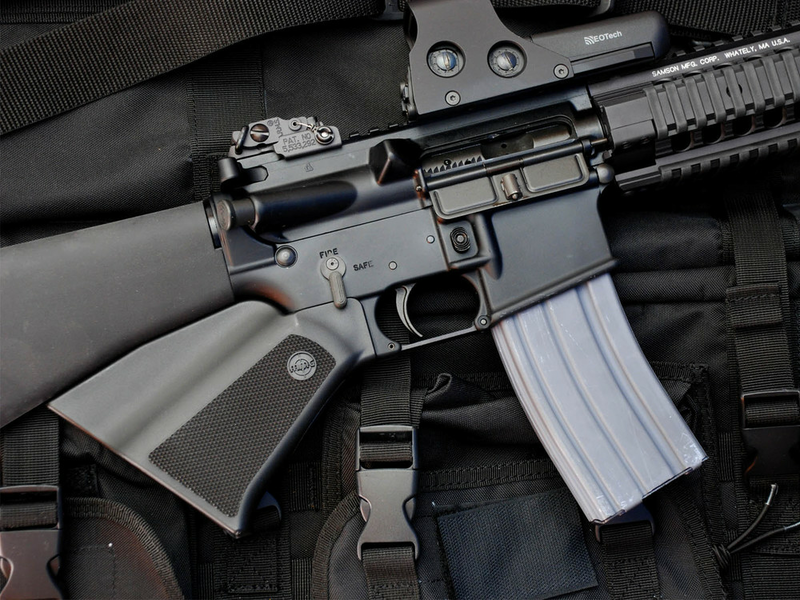 The MMG-AR is a patented grip designed to replace the pistol grip on a off list AR-15 type rifle allowing users to keep their magazines detachable in California. Users must also remove all other banned features on semi-auto rifles with detachable magazines. Made from glass fiber filled nylon, the grip is very strong to meet the most demanding needs. The grip has been designed to feel more like a traditional hunting rifle stock and it removes the ability to hold it with a "pistol style grasp". If you are curious as to how it would feel to hold a rifle with a MMG-AR on it, shoulder a standard hunting rifle stock and keep your thumb on the side of the stock. This is similar in feel to shouldering a AR15 with a MMG on it. 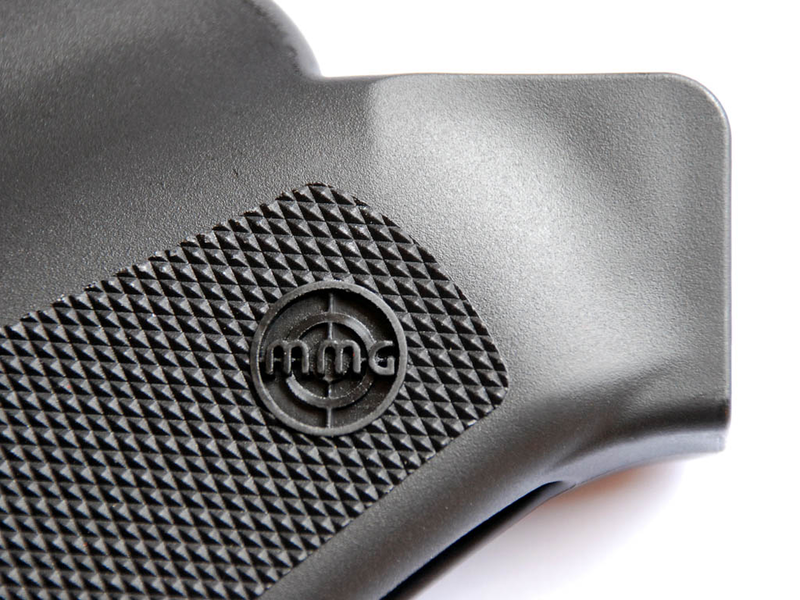 The MMG-AR was designed to be used with the A2 Stock to prevent the thumb from wrapping up and over the grip. Most fixed stocks can be used with it though. Also, a Ambi Safety makes the rifle very functional. California users must remove all banned features from their rifles (pistol grip, collapsable/telescoping stock, thumbhole stock, forward pistol grip, flash hider, & grenade/flare launcher) if they want to configure their rifle with the standard magazine release. Only for use on "off list" make and model rifles. California DOJ-BOF Special Agent Firearms Division Frank Navarro attests by sworn testimony that the MonsterMan Grip is not a pistol grip under CA law. In the case of People vs. Haack and Haack, CA County of Tulare Superior Court, 3 November 2010, sworn testimony of DOJ-BOF agent Frank Navarro.